A former Olympian has joined the chorus of voices calling for the end to Sochi's stray dog cull in preparation for and during the Olympic Games. Olympic basketball medalist, Charles Thomas McMillen, wrote a letter to to Thomas Bach, President of the International Olympic Committee, invoking the organization's "social responsibility and respect for universal fundamental ethical principles." McMillen, who was also a Rhodes Scholar and Maryland Congressman, joined up with The Humane Society of the United States (of which he is a member of the board) to deliver the letter. In the last few days I've learned to my great horror of the mass killing of street dogs in a misguided attempt to "clean up" Sochi in preparation for the games. I have also heard reports that the government hired a private "killing" company to exterminate what spokespersons called "biological trash." Mass dog extermination programs as part of Olympic preparations stand in stark contrast to Olympian values. The socially responsible and ethical way forward is to adopt and implement easily available humane methods rather than hunting down and poisoning these animals as all the world watches. Just as Olympic athletes became role models for billions of young people, so do host countries' preparations serve as examples for future Olympic venues to follow. McMillen, who was a member of the 1972 U.S. Olympic Basketball Team that lost a controversial gold medal game to the Soviet Union, also said that though this is not the first time a city has executed its dogs in preparation for the Olympics, he hopes it will be the last. The letter is available in its entirety here. 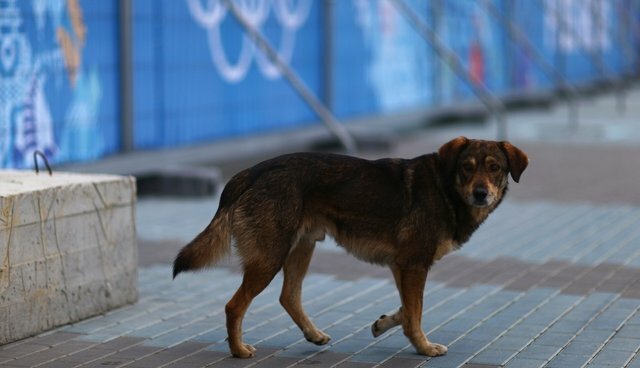 Find out more on helping Sochi's stray dogs here.